When you are looking for a high-end bidet toilet seat, TOTO Washlet s350e is a product that seems pop up everywhere. Why is it so popular? Is it worth to buy? Continue to read our TOTO Washlet s350e review now. TOTO Washlet s350e comes from their “s” series. “s” is a series designed to make users feel satisfied by offering advanced features and experiences. Among those “s” washlet, s350e is the most popular one. 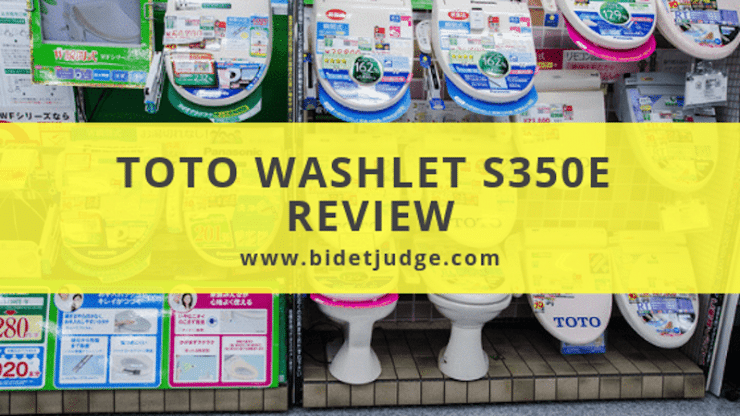 TOTO Washlet s350e has a lot of advanced features, and you will understand why a lot of people choose it after reading our review. This washlet will welcome you when you decide to use the toilet. When you approach the bidet, it will open the lid. When you finish and leave, it will close the lid. You can also control if you need to open lid and seat together or only the seat. During the whole process, you don’t need to use your hands at all. You know, somethings hands contain a lot of bacteria. EWATER+ system is a smart water system installed in luxury bidet toilet seats of TOTO. The water in EWATER+ is electrolyzed water which has antibacterial and cleansing properties. By using EWATER+, you don’t need to clean your toilet by using harsh chemicals anymore. This system works at different phases of using the toilet. When you approach the toilet， it will start the pre-mist function to ensure that the bowl is clean and ready to use. It will also be responsible for cleaning the wand when the toilet is in-use. After you finished, EWATER+ will flush the bowl. The best part? If you don’t use the bidet for more than 8 hours, EWATER+ will spray again to keep the bowl clean. In a word, EWATER+ will improve the hygiene of your bidet by killing the bacteria and stains. Sometimes you need to use the bathroom at midnight. It often happens in the elderly. The night light in Washlet s350e will turn on automatically when the top light is off. The light is soft so that you will not wake up and can continue to sleep well. Some bidet toilet seat comes with a tank, and you have to wait for a few minutes if you use up the warm water. TOTO washlet s350e features a tankless design. It will heat the water instantly. Hence, you can enjoy unlimited warm water now. Different people have different preferences. You may like strong water pressure and warm heated seat, but your partner may like light water pressure and cool seat. Don’t worry! 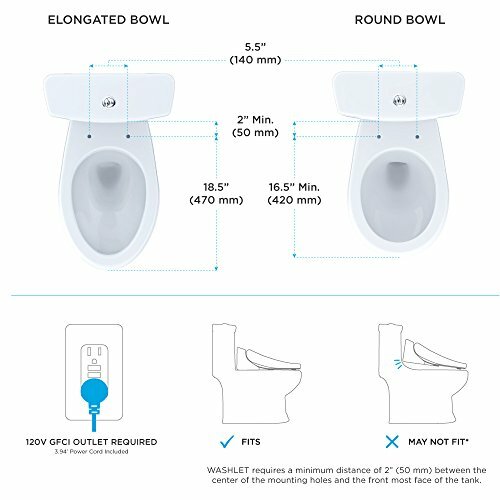 This smart bidet toilet seat can save 2 users’ settings to make sure you get what you want whenever using the toilet. No matter you have an elongated model or a round model, this s350e can fit it well. 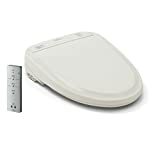 The slim design makes it integrated with the toilet entirely. With this bidet, your bathroom will look modern and advanced. Deodorizer is a sweet design in a lot of advanced bidet seats. It will ensure you feel fresh during toileting. Also, it can avoid embarrassment and bring a better experience for someone next to you. This function has been integrated into this washlet s350e as well. These fancy features may already attract you, right? Wait a moment! This sweet washlet s350e also includes all the functions that a standard bidet toilet seat has such as air dryer, heated toilet seats. TOTO washlet s350e features for its slim and sleek design. Round version:18-7/8” long, 15-3/10” wide, and 3-15/16” tall. Elongated version: 20-3/4” long, 15-3/10” wide, and 3-15/16″ tall. Each version has two colors available: Cotton white or Sedona beige. Buying a bidet toilet seat is a significant investment. You need some reason to convince you. The info listed below are the most common reasons why people decide to buy it in the end. As we mentioned above, this TOTO s350e has a lot of advanced functions which will significantly improve your experience. The automatic function can open and close the lid without using your hands. The EWATER+ system will take care of your toilet all the time. Besides, night light design will help to prevent falls. You will benefit from the power of technology. EWATER+ system can fight stain and bacteria for you all day long. Compared to regular water, the electrolyzed water can kill the harmful properties and keep the toilet clean. It will clean the bowls and wands automatically. When the bidet is not in use, it will spray as well. Even the bidet has a lot of complex functions. It is still easy to install. The manufacturer offers comprehensive instructions to ensure consumers can DIY by themselves. TOTO is a renowned brand in the industry for over 100 years. They have sold millions of bidet toilet seat. We can’t deny that TOTO presents the most advanced technology in the bidet world. As so many people have bought it and proved that it is a good product, you have less chance to get a lousy product. Also, you don’t need to worry about someday the company will disappear and no one can serve you. The only drawback we figure out is the high price. TOTO is not a cheap bidet brand. As an advanced product of TOTO, this washlet s350e can cost you a lot. However, you will get what you pay for. This product will change your life completely. 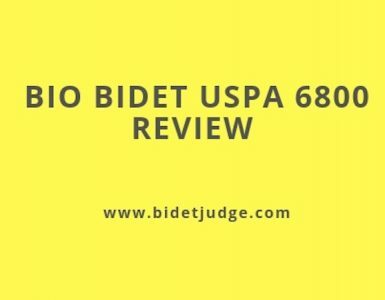 Besides, if you are looking for a more advanced bidet, you can consider buying a bidet toilet combo. The toilet with built-in bidet looks even better. You can control all your setting on the remote. The remote has two sides. On the front side, you can choose from “rear, front, Oscillating” depending on your own needs. You can also control the dryer. The personal settings are also included on this side. You can store your preferred water pressure, wand position, water temperature here. On the back side, you can set the temperature of water, dryer, and seat. Want to save energy? This Toto washlet offers two energy-saving models: “Auto Energy Saver” and “Timer Energy Saver”. This function will help you save more money. TOTO washlet could be a must-have if you are looking for a luxury bidet. It features all the advanced functions a bidet toilet seat should have. The automatic control and EWATER+ system will improve your hygiene level and make you enjoy the time of toileting. 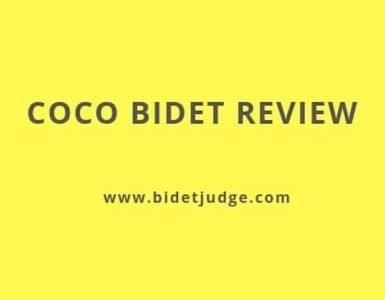 However, if you are a budget, you can also check our recommendations for cheap bidets.